So said Norway’s most famous composer, Edvard Grieg, when it struck him that Norwegian folk music – even the simple melody of a cow maiden calling for her cows – could inspire his own classical pieces. And we know the way you should take when you visit Bergen, Norway. To the Edvard Grieg Museum in Troldhaugen! Nicknamed “The Two Trolls on Troll Hill,” Edvard and his wife Nina – both petite with shocks of silver hair – whiled away their summers in a lovely Victorian “villa” in the village of Troldhaugen, just outside Bergen. Today, their home is a museum. A stunning glass-and-concrete concert hall with a grass roof has also recently been built on the grounds. And one of the best things to do in Bergen is visit the Edvard Grieg Museum at lunchtime and listen to a lovely Grieg concert too. We dare you not to be entranced by the music! 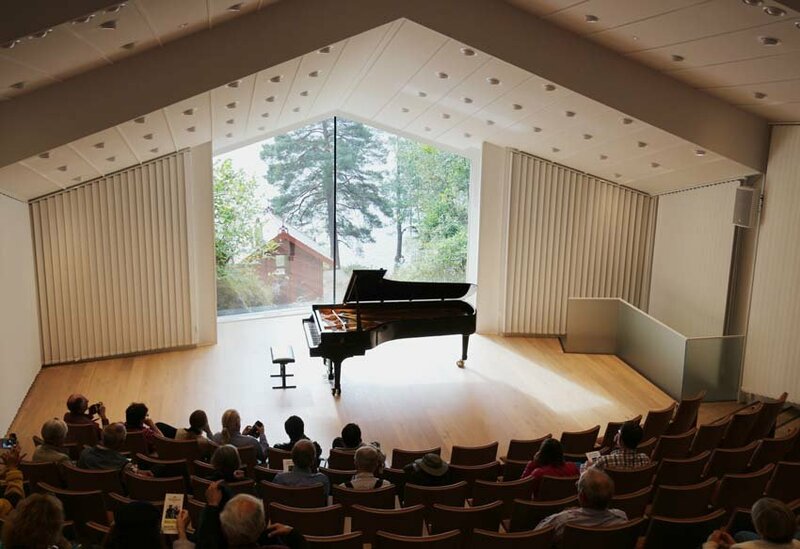 We listened to a beautiful Grieg recital by Torleif Torgersen (one of Norway’s top concert pianists), who played on stage in front of an expansive window looking out over a serene lake. His fingers danced up and down the keys as fast as the leaves fluttered in trees behind the glass. 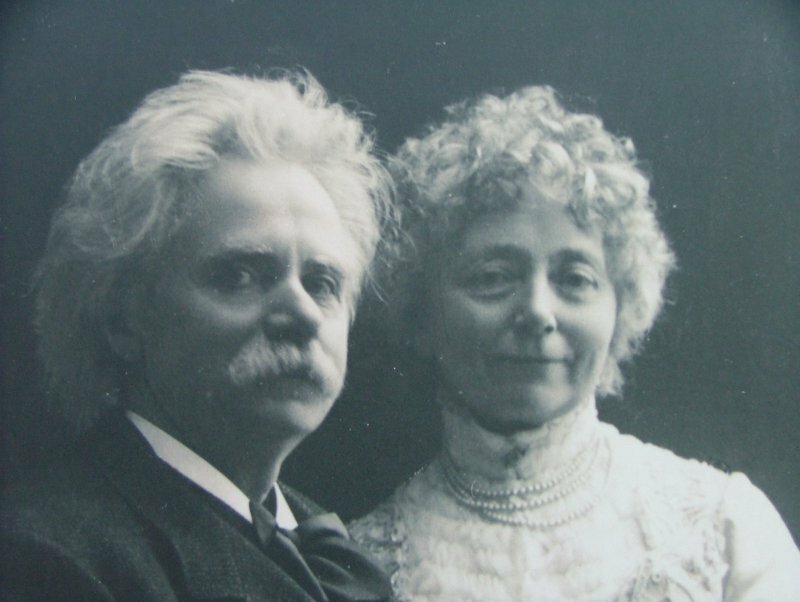 As he played “Wedding Day at Troldhaugen” – a joyous piece Grieg wrote as a gift for his wife on their silver wedding anniversary – shivers ran up and down our spines. 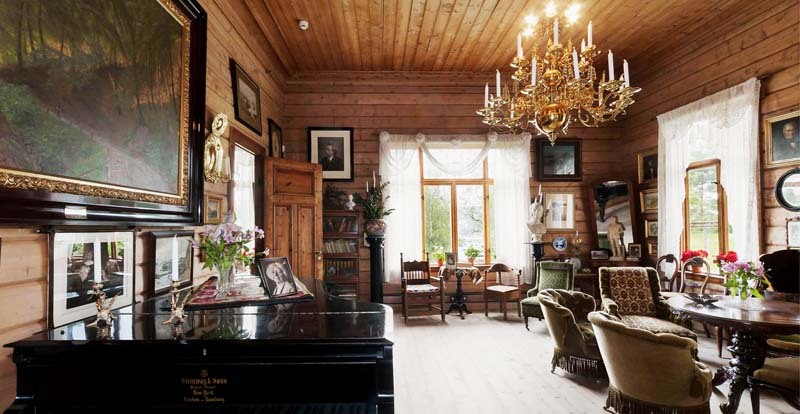 Before you sit down for the Grieg concert at Troldhaugen, you’ll get a chance to tour Edvard and Nina’s home. 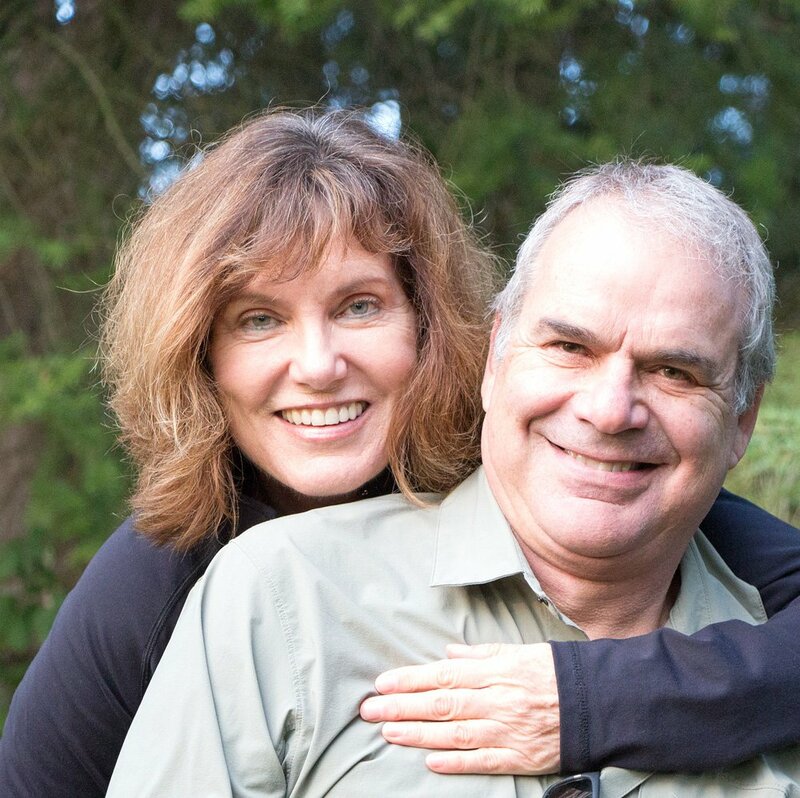 So let’s back up and talk a little about the man who composed the music you’ll hear, the woman he fell passionately in love with, and the house they built. Edvard was born to a well-off musical family in 1843. His mother was the most sought after piano teacher in Bergen, and he started composing at an early age. Edvard’s cousin, Nina, was a celebrated soprano with a lovely singing voice. They fell in love and got engaged in 1865. For an engagement present, he gave her four songs with lyrics by his good friend Hans Christian Andersen, including the most famous, Jeg Elsker Dig (“I Love You”). They married in 1867 and settled in Oslo. A year later, Edvard had his first musical breakthrough. Then in 1876, he wrote the music to Henrik Ibsen’s Peer Gynt, which catapulted him to fame. But tragedy also befell the young couple. Their beloved daughter, Alexandra, died of meningitis at the age of one, and they never had any more children. Throughout his life, Edvard also battled respiratory problems from a collapsed left lung caused by pleurisy and TB, which he contracted as a young man. Grief, illness and even adultery all took their toll, and Edvard and Nina also separated for a time during the early years of their marriage, reconciling in 1884. Their pale yellow villa in Troldhaugen was built between 1884 and 1885. 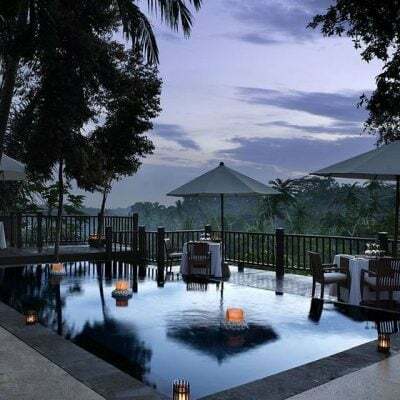 Edvard took a personal interest in its construction and added many of his own design ideas, calling it his “best opus so far.” He referred to it as a “villa,” though it doesn’t sprawl the way villas sometime do – it actually looks more like a peaceful country home. Tall and narrow, the two-storey wood home was built in typical Norwegian style but with higher ceilings. Much bigger windows were also installed to bring the light in and allow for better views of the lake and gardens outside. But with only a wood stove for heat, the house wasn’t practical to live in during the winter. So after two years, the couple decided it would be their summer home, and in the winter months, they toured Europe giving concerts. And they did come. Composers, artists, other musical friends. They drank, laughed and played music. In the living room, there’s the original Steinway upright piano friends gave the couple on their silver wedding anniversary as a surprise gift. One of the most delightful parts of their home is the small composer’s hut. Edvard needed absolute quiet to work, and the stream of visitors and the clatter from the kitchen disturbed his concentration. And so he had this composing hut built by the lake. With a piano, desk, wood stove, sofa, rocking chairs and a dreamy view over the lake, it must have been an idyllic place to work! He would spend hours at a time in his composing hut, writing melody after melody. Edvard died in 1907; his wife died 28 years later at the age of 90. 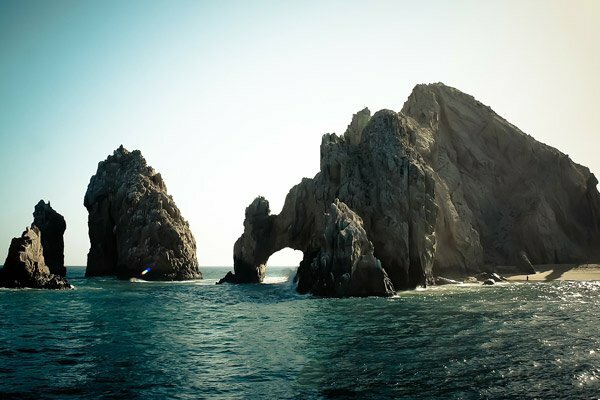 Their ashes were buried in a vault carved deep into the rock face on their property, down by the lake water. In 1928, their Troldhaugen property was turned into a museum. But the two Trolls on the Hill still live on today in the hearts of their Norwegian countrymen and, indeed the world, through their music. The museum is open year-round (shorter hours in winter). 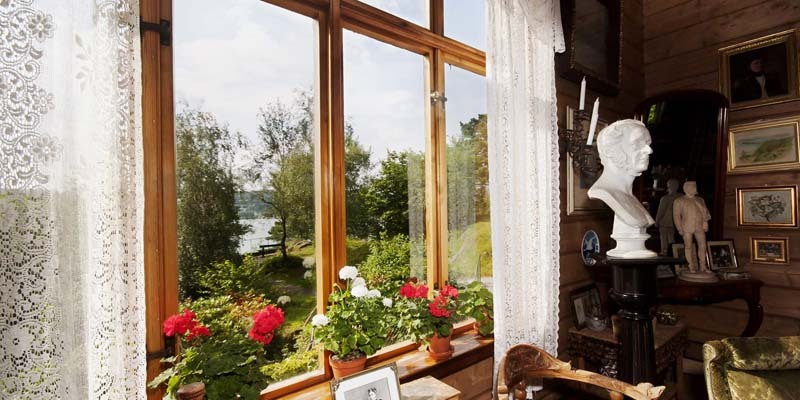 Guided tours of the Grieg villa operate continuously. 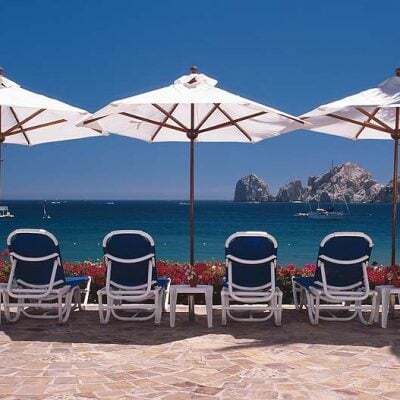 A Grieg piano concert is offered every day in the summer months from May through to the end of September, starting at 1:00 pm and lasting 30 minutes. In summer, you can book a 3-1/2 hour tour from Bergen to the museum. It includes the 20-minute bus ride to Troldhaugen, tour of the Grieg House and lunchtime concert. Pickup is at the Bergen Tourist Information Office, located on the harbor by the Fish Market. 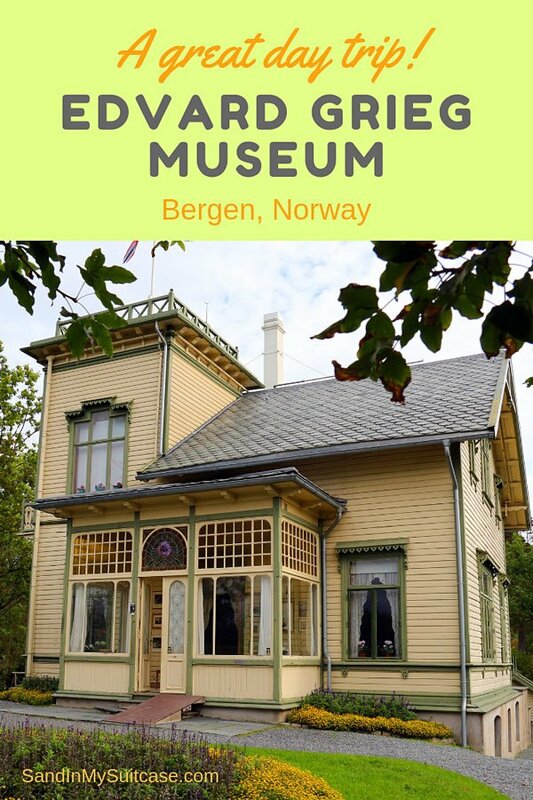 See the Edvard Grieg Museum website. 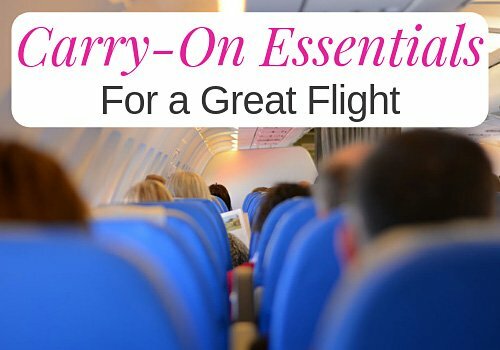 Check whether buying a Bergen Card from Visit Bergen makes sense – it could, depending on what you want to see. It offers discounts on many sightseeing attractions, including this Troldhaugen day trip from Bergen. We stayed on in Bergen after a Baltic cruise and were very happy with the Clarion Collection Hotel Havnekontoret on the waterfront. Pssst! 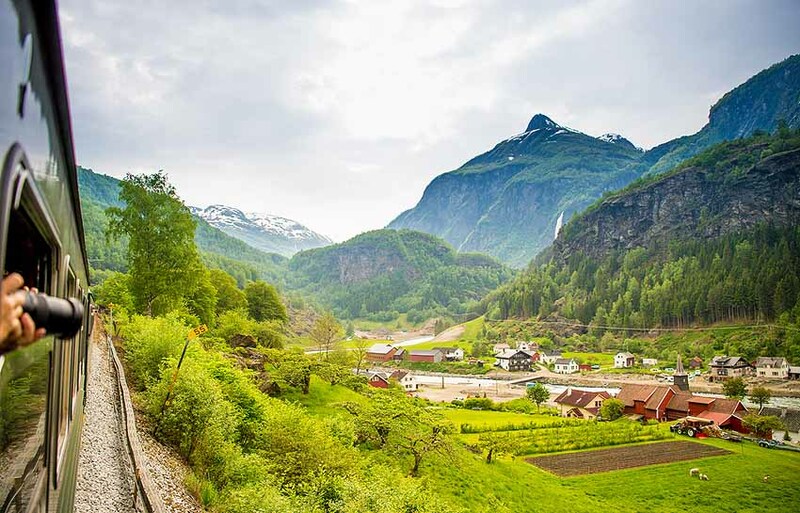 Interested in a deluxe Baltic cruise to or from Bergen? 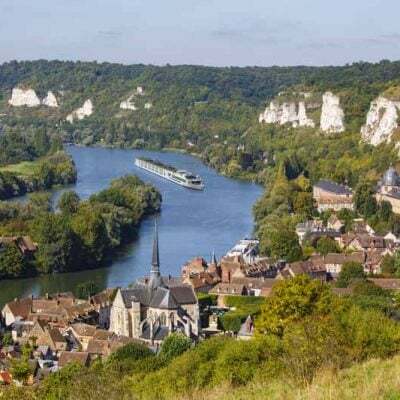 Read about our cruise here! Like this post? 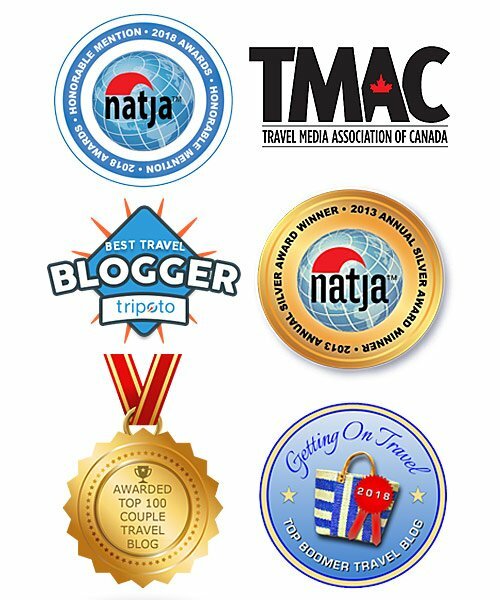 Then pin to your Pinterest board for others to see too :-). Why thank you! So kind of you to say! I had no idea that a cow maiden calling for her cows has been the inspiration for some of Grieg’s beautiful music. It must have been so nice to visit his house in Troldhaugen. He is one of my favorite composers (I particularly like his piano concerto in A minor). As for his wife, Nina, I can see what drew them so close together. They both shared a love for music and that’s a strong tie right there. 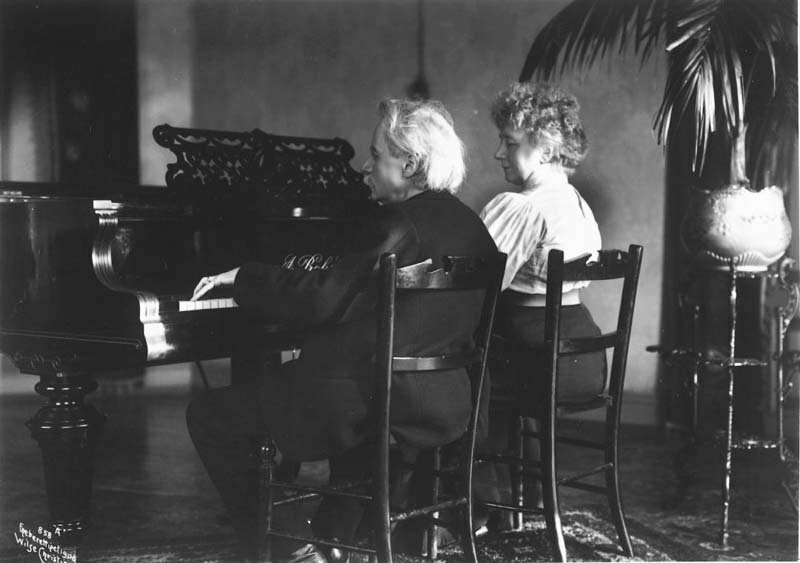 Your post on Grieg captivated me, much as his music also does. Great photos and text that capture the spirit of this musical genius. Please keep up the wonderful travel reporting. Thank you so much for letting us know! 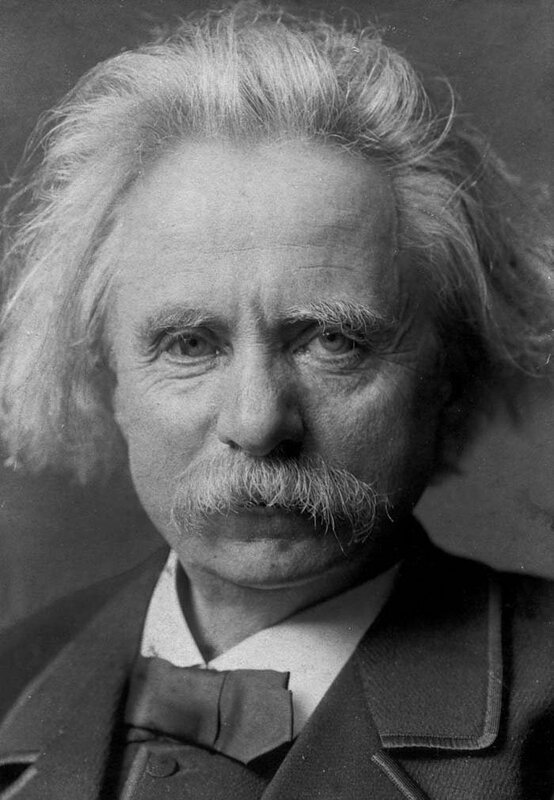 We’re delighted you enjoyed our post on Grieg – as you say, a musical genius… And thank you for the comment on our travel reporting – it’s very nice to hear such great feedback :-). What an interesting and lovely story. I have never heard of them before.